Lisa is always looking to keep up to date with the latest advanced procedures and to bring you the most modern and current treatments. In recognising that many viable skin conditions can leave you feeling less confident or embarrassed; Lisa offers a free consultation to discuss your requirements and then uses her expertise to recommend the best method of treatment for you. You can feel comfortable in the hands of Lisa Horan, who has gained many qualifications in electrolysis hair removal and advanced electrolysis procedures in the removal of milia spots, skin tags, hair and much more. 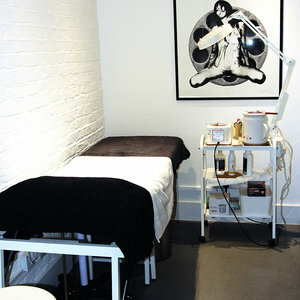 This contemporary salon in West London aims to provide you with the best experience and lasting results. Milia spots, also known as ‘milk spots’ are small white keratin-filled cysts that form under the skin. There are many factors behind the cause of milia spots but they can also develop naturally. Although very common, these white bumps can cause embarrassment as they’re hard to remove at home. You’ve probably wondered how to get rid of milia; trying to squeeze the whitehead-esque spots to no avail, but this can actually make milia worse and damage your skin further. Here at Glow West, we specialise in milia removal; with the use of electrolysis we can relieve you from those annoying white marks and give you instant, noticeable results. Many people suffer from broken veins - these are tiny blood vessels which run close to the skin and have become enlarged; causing them to be red and visible. Anyone can get these at any age, thread veins on the face are very common and can become an irritating blemish to most people. Lisa specialises in the removal of thread veins via electrolysis. This is an effective way to treat thread veins and spider naevus. Most people either have or will develop, a form of skin tag in their life. Skin tags are harmless growths of skin that usually resemble a mole. They are benign and serve no purpose so can be easily removed with advanced electrolysis. Glow West can remove skin tags quickly and easily with this effective method. 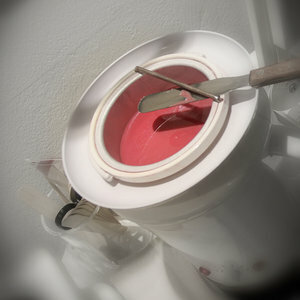 Lisa recommends this treatment as it leaves skin flawless and smooth, with no risk of return. Glow West uses short-wave diathermy (Thermolysis) and blend method for the permanent removal of hair. This form of electrolysis uses an electrical current to destroy the target hair cell tissue; completely halting hair growth permanently. Available for all skin and hair types, this method is proven to have outstanding results. Please kindly note that all advanced skin treatments listed above require a consultation prior to the treatment. 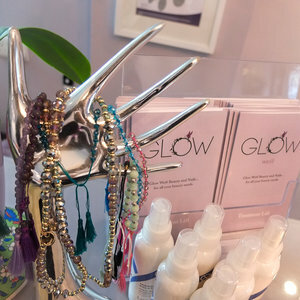 To book your complimentary consultation, please call Lisa on 020 3620 4360 or email bookings@glowwest.co.uk. If you are pregnant or breastfeeding, please make us aware before booking.